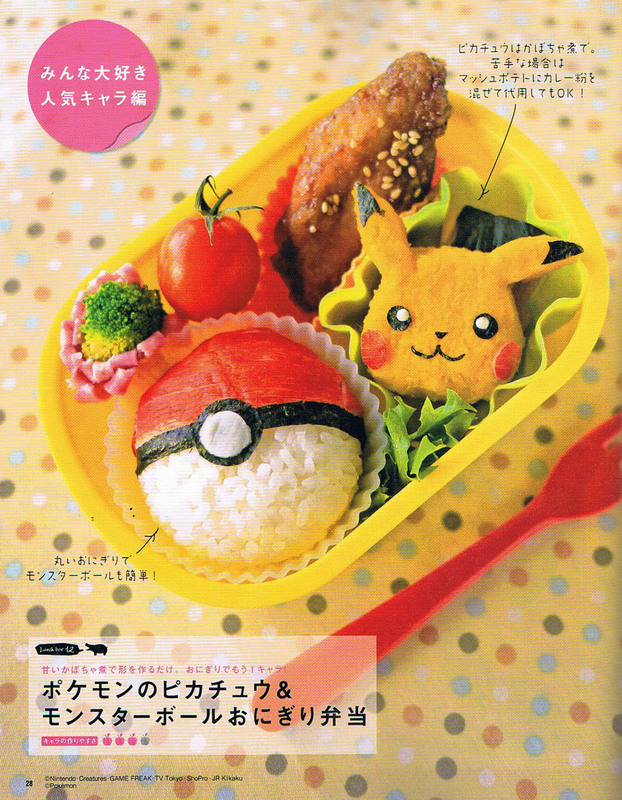 Home » Cute to the nth » Make Your Own Pikachu Lunchbox! Make Your Own Pikachu Lunchbox! Want your kid to blow away the cafeteria crowd when they open up their Pokemon lunchbox tomorrow? Fill it with this outrageous labor of love! Your child might even be distracted enough to eat that big hunk of squash, fake crab legs and seaweed it’s made from. In twelve elaborate steps (from the pages of Character & Deco Bentō magazine), here’s how! First, wake up at 5:00 a.m. and drink a double espresso so you’re prepared to battle the ingredients into submission for the ultimate Pikachu Lunchbox Challenge. 1: Steam a nice kabocha squash and chop it up with a paring knife. 2: Squish the pieces together in a piece of saran wrap and prod it into a vaguely Pikachu-shaped head. 3: Get your Michelangelo on and carve the corners and curves with a toothpick. 4: With the Pikachu face-cutting tool you happen to have in your knife drawer (or a pair of nail scissors, whichever is handiest), punch eyes, ears, nose and mouth from a sheet of seaweed. 5: Using tweezers and toothpick, position the incredibly tiny features on the squash head. Try not to wake up the children with your cursing while you do this. 6: Painstakingly peel the red skin from a piece of fake crab legs and use a straw to cut two perfectly round circles from it. 7: Tweeze those onto the face where the cheeks should be. 8: Use your toothpick to dig out two tiny blobs of mayonnaise for making Pikachu’s pupils. If yours aren’t perfectly round like this, be happy you are not competing with Japanese moms, who can do this blindfolded and with one hand tied behind their backs. 9: Shape the rice left over from last night’s dinner into a ball and cover half of it with the rest of the crab leg skin. 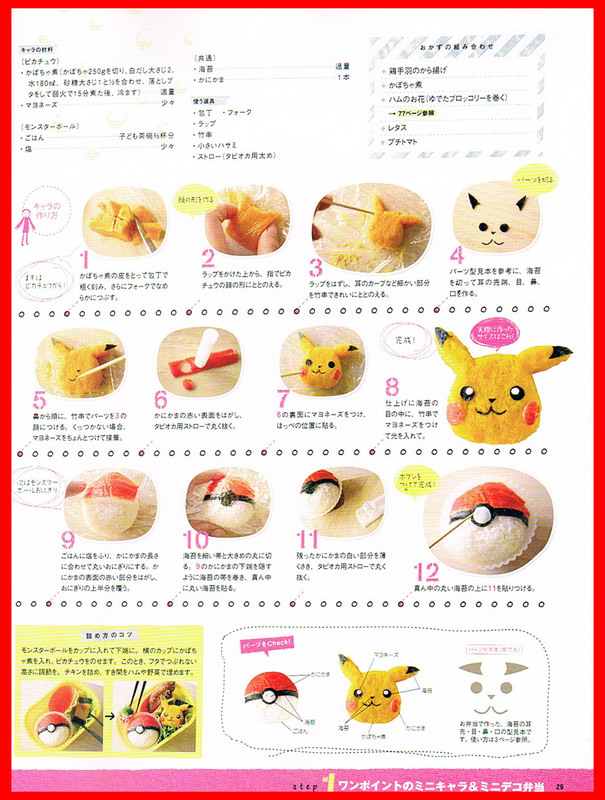 10: Use your nail scissors and a punch to cut a Pokeball-size circle, and position them on the rice ball. Wrap everything in saran and smush it together until it sticks. 11: Use a straw to cut a smaller circle from a slice of the white inside of the fake crab leg. 12: Position it on the Pokeball and nestle both works of art into reusable cupcake liners.